In our last newsletter, we looked at the recent New Zealand Court of Appeal decision in Bridgecorp. In the context of the increasing number of claims against directors and officers under D&O policies in the current economic climate, this newsletter examines the trend for the court to allow shareholders and insolvency practitioners access to the directors' and officers' insurance arrangements to determine whether proceedings against them are financially worthwhile. 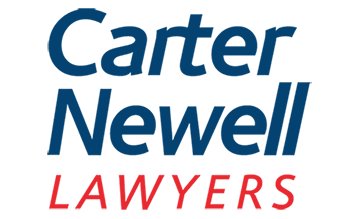 The inaugural edition of the Carter Newell Asia Pacific Carriers’ Liability Guide details the civil aviation liability regime in a number of Asia Pacific nations. The Guide outlines the international conventions to which each nation is a member, and examines the key domestic carrier liability legislation and case law for death and injury, baggage and cargo, third party property damage and delay claims. Readers will recall in our June 2012 newsletter we reported the case of Welch v Graham & Another  QDC 103 in which the Queensland District Court found the homeowner Defendants liable for the elderly Plaintiff's personal injuries for failing to remove a gumtree overhanging the front steps of their suburban Brisbane home. Are investigation reports subject to legal professional privilege? The recent decision of Ensham Resources Pty Ltd v Aioi Insurance Company Ltd  explores the subject of legal professional privilege (LPP) and the circumstances under which LPP can arise. Read more on Carter Newell's website.